This beautiful Earthen Feeder Bowl is all-in-one feeder is made from Fine-Clay. Tn the is used as feeder and also the drinker bowl for pets. We are offering Standard Feed Pet Bowls to our clients. 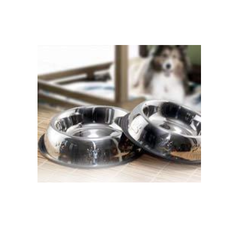 Feeding bowls & anti skid bowls for prevention from slippage and harm during your pet's meal. Finely crafted by dexterous workers, who have years of rich experience in this field. ½ Pint : Delicious meal with good companionship enhances the overall pleasure of eating. These bowls placed and connected through wire stands ensure the both pets and their owners enjoy the visual treat and feeling of togetherness. 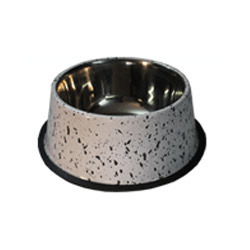 These Standard Pet Feeding Bowl offered by us are made utilizing high grade raw material and innovative techniques in strict compliance with the industry laid standards. Along with this, the offered range of pet products is appreciated for its reliability, less maintenance and durable nature. We offers Pet Feeding & Storage Set to our clients. Offers real convenience for you and your pet.